I love the textured lace overlay on this magenta pencil skirt from Ann Taylor. It lends itself perfectly to a nice and simple top and statement necklace. I've never tried the peplum look myself. I think for my personal style, it's a little too fussy and could potentially draw more attention to my bottom, which believe you me, does not need any help. 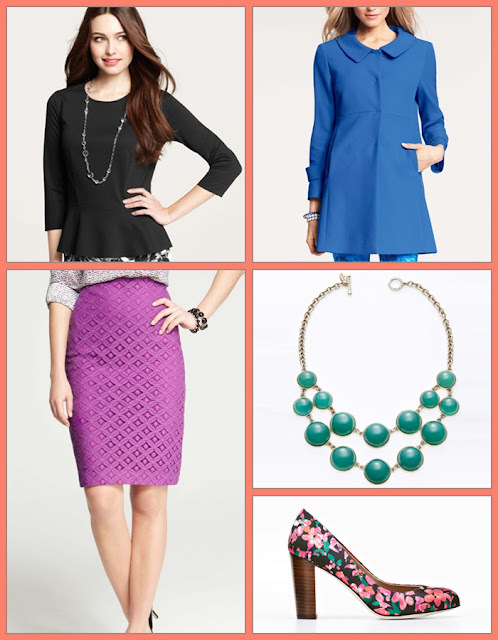 Are you guys still into the peplum trend?